There’s no way to avoid it. Thanksgivukkah. It’s here. For perhaps the last time for some 70,000 years, American Thanksgiving and Jewish Hanukah will overlap this month. (Actually, it’s only the second time since Thanksgiving was declared a national holiday in 1863 that this has happened, but who’s counting? Well, everyone, it seems.) And so it’s virtually impossible to surf the Internet and not see recipes for pumpkin-filled sufganiot, deep-fried turkey, and mashed potato latkes. Not to mention the cranberry-applesauce topping for those potato pancakes. What are we to make of this confluence? Is there something to attribute to it beyond happy gustatory coincidence? It has long been suggested by historians that the first Thanksgiving at Plymouth Plantation was based on the biblical festival of Sukkot. Sukkot – or Chag HaAsif, the Feast of Ingathering – was positioned at the “end of the year, when you gather in the results of your work from the field” (Exodus 23:16). In other words, Sukkot is a harvest holiday at which we express gratitude to God for the plenty He has afforded us. Sukkot is also the festival at which Jews begin to implore God for rain in the upcoming year. Both these elements of Sukkot – the thanks for the past year and the prayers for the upcoming one – combine to embody the idea of acknowledging God as the actual provider of our lives. On Sukkot, we are actively mindful that it is more than just our own hard work and the luck of the weather that sustain us from year to year. Ultimately it is the grace of God that does so. The Pilgrims suffered devastating hardship in their first year in the New World, and only after the Native American Wampanoag tribe supplemented their meager food supplies and then taught them how to grow corn and catch fish did their fortunes begin to look up. After their first successful harvest in 1621, the Pilgrims celebrated three days of thanksgiving with their Native American saviors. I can only imagine that their thoughts were somewhat bifurcated: while celebrating the joy of a successful crop yield after such privation, they must have also been praying that this success be replicated in the coming year as well – lest their fragile existence crack under the strain. A real 17th-century Sukkot, that carries on today when families all across the nation go around their tables and express thanks for both the miraculous and the mundane in their lives. What is perhaps less known is that the first Hanukah – the other half of Thanksgivvukah – also had its roots in the Sukkot festival. The extracanonical Second Book of the Maccabees cites a letter, written some 40 years after the guerilla band of Hasmoneans took down the Seleucid Greeks and reclaimed the Temple for the Jewish people, which refers to the new holiday of Hanukah as “the festival of Sukkot celebrated in the month of Kislev,” rather than in Tishrei. The war between the Jews and the Greeks was still being fought in Tishrei of 164 BCE, and the Temple was still in foreign hands. And as Sukkot, in First Temple times, had taken on the added significance of the Temple’s “birthday” when King Solomon enacted the first Hakhel, or gathering of the people, at the Temple’s inauguration ceremony (see I Kings, chapter 8), it wouldn’t have made much sense for the Maccabees to celebrate the Temple holiday without the Temple. When they defeated their enemy in battle and were able to take back control of God’s House, the Maccabees reenacted the “first Sukkot” by rededicating the Temple to God. That is likely why Hanukah was set for eight days: to replicate the seven days of Sukkot plus the one day of Shmini Atzeret – and not because of the miracle of the oil lasting for eight days, as the Talmud in Tractate Shabbat surmises. In fact, the Second Book of the Maccabees clearly states that “they celebrated [Hanukah] for eight days with gladness like Sukkot and recalled how a little while before, during Sukkot, they had been wandering in the mountains and caverns like wild animals. So carrying lulavs… they offered hymns of praise to God who had brought to pass the purification of his own place” (II Maccabees 10:9-10). Thus, a better-late-than-never Sukkot in Second Temple Jerusalem. To recognize, on the one hand, the bounty and blessings of our lives, and on the other hand, the total impermanence and fragility of life; and to direct both of those understandings towards strengthening our relationship with God. The Israelites of Biblical times, the Judeans in Second Temple years, the Pilgrims in Massachusetts, and we Jews today are all connected – by way of this spiritual goal of Sukkot. May we spend this year’s singular holiday season of “Thanksgivvukah” not only with turkey-shaped dreidels, but with the mindfulness of thanks and prayer to God for who has “granted us life, sustained us, and enabled us to reach this [twice in 70,000 years] occasion.” Hanukah Sameach, and Hodu LaShem ki tov! 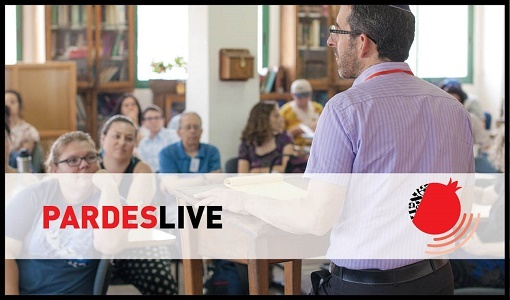 Aviva is the Director of the Pardes Center for Jewish Educators. She majored in Jewish Studies at Yeshiva University’s Stern College for Women, and earned a Masters degree in Midrash at the Schechter Institute of Jewish Studies. Aviva is a Jewish educator with over twenty years of experience in curriculum development, classroom teaching, school administration and educational consulting. Upon making Aliyah in 1996, Aviva developed formal and informal educational materials for Melitz and at the Leo Baeck Education Center, where she also gained experience in teaching pluralistic Judaism. She then served as the head of the department of Jewish Studies at Immanuel College, London. 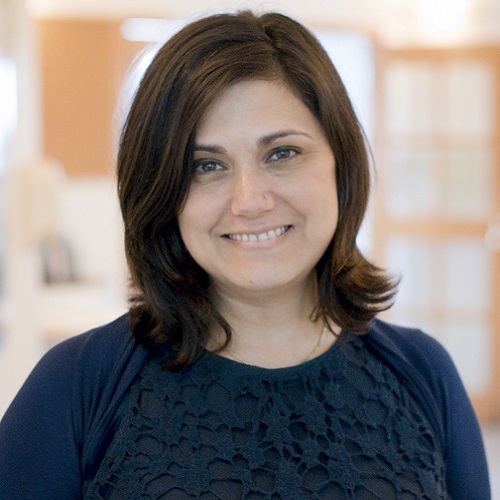 Working at the Pardes Center for Jewish Educators since 2009, Aviva has been a teaching coach, director of recruitment, director of the Summer Curriculum Workshop, and Assistant Director of PCJE before taking on her current role in 2017. Click here to read more.